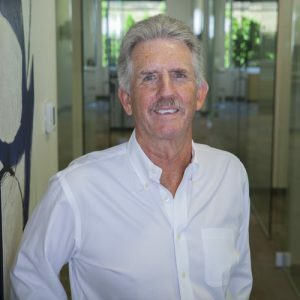 Ralph Barber joined First Western Properties in 1979 as its first agent and became the President and principal in 1982. Prior to joining the company Ralph worked for Western Pacific Properties Commercial real estate in Seattle. Ralph Graduated from the University of Washington with a bachelor’s degree in Business in 1973. Prior to that, he was a commissioned officer in the US Army both as a helicopter pilot and Troop commander and served in both Vietnam and Germany. Ralph has successfully represented both landlords and tenants, investors and sellers in the commercial real estate arena for over 39 years including Petco, Clothestime, Pickway Shoes, Half Price Books, Blockbuster video, Washington Credit Union and First Security Bank. One of his notable transactions is locating and brokering the property that today is the Columbia Winery in Woodinville, WA. Being with First Western since its inception, he has had the pleasure of both training and working with agents that have gone on to successful career’s at both FWP and other firms. He has always enjoyed both the friendship and camaraderie of the company and the business. His hobbies have transitioned from water skiing and snow skiing, to golf and travel. He also enjoys spending time with his wife, two sons, and five grandchildren.